In colleges and universities, the students always have a bomb of energy for the college party. They never want to compromise with them entertainment and fun in any kind of celebration in the college. When it comes to giving the best reasons for entertainment to every student in the college or university with celebration, Bhangra dance performance will be the best choice. There is nothing energetic and exciting as the dance performance with an experienced Bhangra group for the college party. Now, we are here to provide the world-class services for the college parties Bhangra on call dance group. We have experience for a long time to offer the best in class Bhangra dance services for various events and parties. You just need to contact us when you are looking for the best Bhangra group to add the Punjabi beats and dance moves on the dance floor during the college party. We are able to understand the requirements of students when they are planning for a college party. 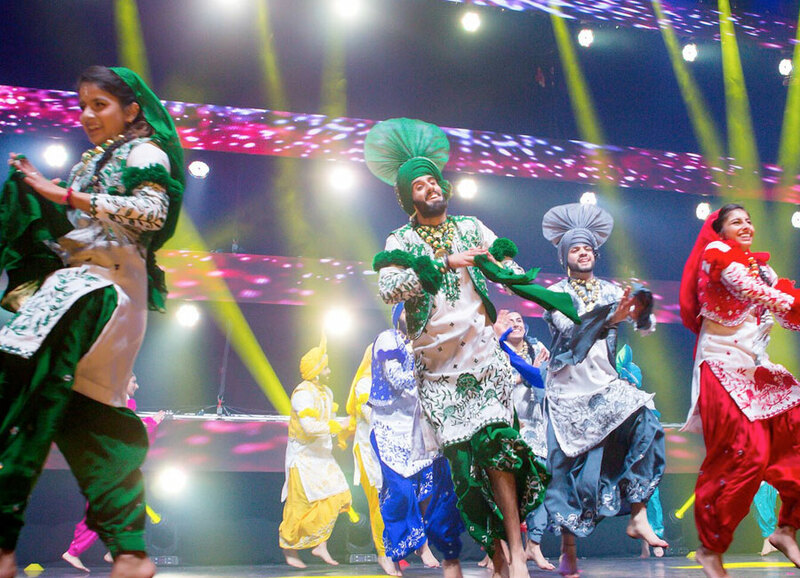 In our team, we have young and energetic performers who are well experienced and talented in traditional Bhangra dance form. We also provide the perfect arrangement of traditional Punjabi music and Dhol for the college parties. During the celebrations in college parties, we will provide the perfect dose of entertainment to every student. We always care about the demand of our clients so we always provide the best performance to please every student in the college party. The college students always have the desire to find the best dance performance in the parties and they want to move with the hard-core Punjabi beats on the dance floor. When you choose our services, we will entertain the students and will make them move with us on the best Punjabi dhol and beats. When you are looking to get services of best Bhangra dance group for college party, you just need to check out our dance packages. You can contact us to search the best packages of Bhangra performance for your events. We will provide your desired services with our Bhangra group in your budget. You will be able to find male and female Bhangra dancers in our group who are able to entertain every student in the party. You will feel the amazing energy on the dance floor with our performances.